Relax. Stress is your enemy. 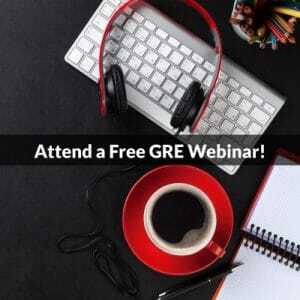 Stop thinking about specific GRE concepts—you’ve prepared enough at this point. Think instead about overall success, and visualize scoring well. 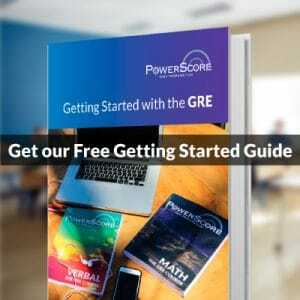 If you hit a rough section, ignore it because it might be the Unscored (Research) section. Worry about the aftermath later. During the test, forget any bad questions or sections and move on confidently. All those points are simple enough, and they reflect the idea that you have to believe you can do well in order to actually do well, and that you have to maintain your equilibrium and mental wherewithal. Feeling nervous or anxious is natural, but don’t let those feelings sidetrack you from focusing on achieving what you have worked so hard for over these past weeks or months. If you walk in to the test and expect to destroy it, your chances of doing so rise dramatically!